In 1996 an amazing new energy was brought to this world from St. Germaine (the source of Reiki) through a master teacher: Hari Das Melchizedek. Because of all the work people on earth have been doing to raise their frequencies, St. Germaine was able to send this very high vibration through to us. It is actually an extension of the Reiki energies. He has asked that it be called Shamballa Multidementional Healing - Shamballa for short. Shamballa builds on the original Reiki system by adding to it. Because Shamballa is easier to teach than Reiki, you can learn each level in a few hours. Thus it is less expensive and time consuming. Like Reiki, it is the energy of love, which comes through your heart chakra to help you heal yourself and others. The healing abilities you acquire when you are taught Shamballa are only a by-product. The major purpose of attunement is to allow the student to bring in higher energies which will help enhance spiritual evolution. In other words, by bringing Shamballa into your life you allow more healing love energy to come into the world. You become part of the solution to world peace and prosperity. It is vital that as many people as possible, as quickly as possible bring in this love energy. The goal is to bring in the light, which this love energy provides, as easily and quickly as possible to a critical mass of people, thus bringing the entire world to a new level in its evolution. The second level of Shamballa allows you to mentally send healing energies to people or places long distance. You are given symbols to use to make this possible. You voice the names of the symbols, think of your target, and you 'turn on' the Shamballa energy. Think of it as turning on a radio and tuning into your favorite station. Two hundred years ago if you had predicted long distance talking boxes people would have thought you crazy. Today they are commonplace. Soon sending to and receiving energy from people long distance will become commonplace as well. The third level adds more symbols, is stronger than level II and allows you to start attuning Shamballa level I students. The Fourth level is the Master level. 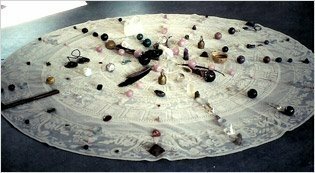 A Shamballa Master student receives a total of 352 symbols when she/he is attuned to this level. Before you say "I can never remember that many symbols" rest assured they are placed directly into your energy field and appear as needed when you work with Shamballa. At this level you receive symbols that aid healing on a spiritual level. At Level IV you are taught to do attunements for others on all four levels. Although that may not be your intent for learning Shamballa, you may be surprised to find yourself drawn to share it with others once you reach levels III and IV. Shamballa can be used for other purposes besides healing people on a physical, emotional, mental and spiritual level. 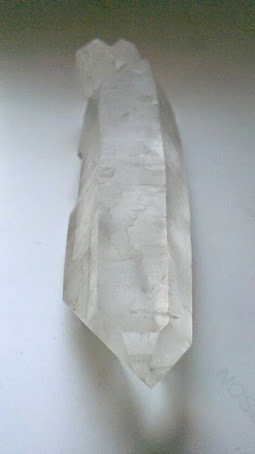 You can use it to heal pets and plants, energetically cleanse your work space or home, bless your food, increase the sight of your third eye, increase the power of crystals and remedies, make your way through traffic jams, and help fix your car. You may find the last use a bit farfetched, but allow me share a true story one of my students told me. On her way to work one day, her car stopped. It would not go no matter what she tried. She used Shamballa on it as a last resort. The car started and she went to work. So far this is not so remarkable a tale. However, at the end of the day, when she had to have her car towed, the mechanic couldn't understand how she had driven to work. A wire which is essential in keeping the car going was broken. He told her the car should not have run. Coincidence or Shamballa? We are living in an exciting time of change from being more matter than light (energy) to being more light than matter. Shamballa has been sent to us to make it easier to make this transition. Up until now change has been more complicated. We were bogged down in ritual which did not move us very far toward the light. Shamballa is simple. It brings us self empowerment by helping us see the light within and understanding that we are all in this together. What affects others affects us and visa versa. When people come to truly understand this, the world will start to heal. now known as Hari Baba. all levels of Shamballa classes. Shamballa then moved forward to include the 12D Attunements, the "D" meaning "Dimensional." which I will explain shortly. pass these 12D +1 energies along to others. pass these new energies on. I have to say, I was pretty sceptical about the 13D attunements.....but Spirit continued to "push" me to get them, until I finally, put out to Spirit that I really wanted to get them, and to please help me find a way, as I was unable to afford them. Spirit, that I needed the 13D attunements. the energies ONLY, and to receive the activations and releasings. This class, is $444.00, for 4-days. the 13D energies on, and teach the 13D Classes. So what is involved in the 13D classes? edited, and shortened by me, to fit this format. "I Am Presence" to raise awareness and consciousness. -It is explained why Shamballa is not Reiki! Reiki is a limited connection to a small part of the total energy spectrum available for enlightenment. Shamballa uses no physical representation of symbols, therefore it makes it impossible for people to give their power away to symbols and their connections. Shamballa uses 352 symbols in total, and after initiation into Shamballa YOU ARE the symbols. When you work with the energy of Shamballa you transmit whatever symbols are needed in the moment. This takes away the feelings of needing to control the energy and the need for mental information - this is very important. Mental information is not enlightenment and it holds you in your head - 7% of consciousness available to the mental mind. Please remember that you are everything right now and you are not separate from the rest of creation. Just allow the energy of Love to do its work spontaneously, in the moment. ie: to aid the solving of problems, to clear energies, for distance healing and to integrate Love and Non-Judgment for the Self and all of creation (this is the essence of Shamballa - and to remember Shamballa has no limits except personally imposed limits. -The question of worthiness, is also discussed, and also how to recognize when one is in denial, Love without conditions versus Love with conditions, and moving out of judgment. The idea of this 13D Shamballa teaching is to give a framework which each person can fill according to his or her own talents. The whole aim is to empower each person through Love without conditions, and to create your own reality in every moment . There are 13 initiations in all. various Masters, all at the same time. a clearing meditation is done. This first meditation clears out implants, twin souls, androgonous beings, multi-dimensional ties, basic chakra clearance, and is always worked in accordance with Divine Will on all levels and in all time frames and parallel universes etc. Also after each initiation or set of initiations it is necessary that people do hands-on work with each other to ground the energies, this usually takes about 15 minutes each. 12. Meet your personal Masters. 13. Axiotonal and galaxitonal line activations. extremely impressed with my teacher, Lynn. toning that is involved, the energy that is involved, is just simply amazing to me. had difficulty with, as I was more of a "feeler" rather than a "seer." I also began to see, and actually hear, my student's spirit guides, during attunements, which was very exciting. 1. To keep the Shamballa family together. 2. To keep the essence of the Shamballa energies "pure." and to be able to get insurance for its members. 1. The foundation is there to over see the humanitarian work and to help to finance that by donations from the family, and will raise money for the projects around the world. 2. The foundation will also appoint a board of experts to help in all kinds of way to raise money to advise on projects and such, later on when the foundation is solvent we will also cover the expenses of others who want to go to Africa and such places to do workshops for the people for free and help set up the healing centres. 3. The foundation will also over see the Shamballa school of esoteric sciences, this has also been formed now and is alive and well, it is affiliated to the BCMA in England and makes shamballa legal in all European union countries, we have set up an association as well so people can become member of it and then also join the BCMA in England, this outfit has a voice in the government and many other things, it also takes members from other countries. and certify those who have been attuned to Shamballa. More information about the Shamballa Foundation will be added to this page as it become available. The symbols, were initially one of the main aspects, of Shamballa. But that is no longer true. "without symbols" and without the (4) levels. This is called the new Shamballa Basic. Why has germain asked for this? "To make things simple is the first thing, and to make it much easier for people to take the first steps into Shamballa. Also to remove the levels from Shamballa, so this course takes things into a new way of doing things"
OK why remove the levels? -In the past Shamballa was done in 4 levels, Germain noticed a number of issues in this, one being that teachers sometime held on to peoples energies by doing level 1 level 2 and so on up to 4, in maybe 8 days or 4 weekends, often telling people they were not ready to recive the next level until the teacher decided they were, this is judgement as we all should know. It is the persons I AM who decides if they are ready or not. So when a person asks for Shamballa we know they are ready in case there is questions on how we know they are ready. -Also to take Shamballa away from the idea of the old Reiki system of levels and the idea of one level being better than the other. And to understand Shamballa is not reiki. -To remove symbols from the course. The world changes, the universe changes and the energies change all the time, the symbols or symbols in general are 3d represations of energy, the symbols used in reiki are of symbols old energies. We dont need them, remember the energy flows from the Source and therefore is intelligent so knows what to do, we only need to be open and let it flow. Now to attunements or I would like to call them activations. In this age people only need to recieve the energy they need to activate their consciousness, to begin expanding their awareness of who and what they are, for us as teachers it is not for us to judge what they need, our place is to make it possible for them to recive what they need by just being an open channel for the energy during the activations. Also it is for us to tell people about the illusion of 3d life, the slavery to wealth and consumerism and so on, the trick played by the world managemant team to keep us in that slavery. Our mission is to free people, encourage them to become real human beings instead of trying to escape this 3d world, only when you become fully grounded here will you achieve the freedom you so dearly would like to achieve. So in other words no ascension till you fully descend. Into the energy we call LOVE WITHOUT CONDITIONS, YES WITHOUT CONDITIONS. This again to remind us means no judgement in anything. We need to learn that all is perfect in the eyes of Source. It is also an important part of the traing to get folk to understand there is no such thing as healers, we dont heal, we facillate healing for others through our love and openess to Source. We Germain and I have spent alot of time looking into the contents of this course, Phyllis Brooks and Krijn in Holland have also been involved in groung the information from Germain on how we would proceed in this. 4- 8hr days for new people. also in Maryland by Baba. "The levels 1-4 will be certified untill end of 2007, this means a transitional stage of about 2 years. By then, the Basic will be the replacement for these levels. But don't forget that Shamballa is freedom. If you have read Baba's message we passed on last week, he stated that so-called rules are made to play with the regulations of the governments, not more and not less. And if you don't want to be in that playing field, just dont be there. If people still want to teach the levels after 2007, they are free to do so." NOT be recognized by the foundation. -Antakarana the symbol, yes one symbol in the class!! -How to do activations various ways of doing it and practice, yes you will be doing it during the class!!!! -How to facillate a workshop. This content will make it easy for others to take the message and activations to others. After completion of the course people will be able to teach others. You can do all this in your own way, you are not being asked to follow a word by word way of doing things, add your own magic to it, for you will find that people are attracted to you because of your magic, people are different and need things presented to them in diferant ways, this is why there is no word for word way of doing things. A manual is available in the class, written by Phyllis Brooks. We create our own world, and we create the world at large togehter, so create something differant now, to do this we need to allow the energy of source to manifest through us, and be open to allowing the universe to provide for us without trying to dictate how this happens. Glow with the flow and remember shifts happen. You cant expand awareness and stay in the same place as you were. The nature of creation is change. Hari Das baba and germain "
it is no longer necessary. First of all, symbols, are a "Bridge"
create the outcome that we desire. and these symbols contain ALOT OF POWER. useful much of the time. decide what someone else needs. you need them, and when you no longer need them, thank them, and let them go." homecare for a living, which means I go to people's houses to give them therapy. street from our office to pick the equipment up. when we both looked up, and saw a small terrier dog go trotting by the window. might get hit by a car. by chasing it, and I stopped. and continued chasing the little dog. of the dog getting hit!! "I really dont know, its the strangest thing." right into a car, but the oddest thing happened...."
his collar right off his neck!" I said, "He didnt get hit???" never actually hit the car." step when she got home! Well I was just BAFFLED. "Robin! Don't you realize what happened??!" And I said, "No, What?" and it saved the dog!!!" And I said, " 'NO' I DIDN'T!" "You didn't HAVE to finish! there! You did it with your intention alone!" It is always changing, and evolving to higher vibrations, and higher levels. and all kinds of tools, to create the Magick, and the change, that they desired. also began initially using symbols, like the pagan's "tools" and "rituals" to bring about desired results, in physical, mental, emotional and spiritual healing. need for any rituals or tools, which we call symbols. we desire, with our thoughts, only with shamballa also. "Shamballa is a pathway which crumbles behind you as you walk ahead. There no point in looking back or forward. Where does this path lead?" upon ourselves....and no one else.